1.1. 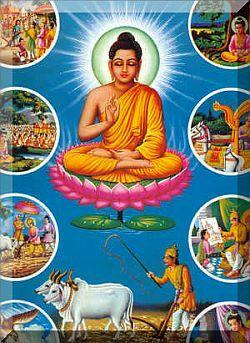 There are many references to the Buddha in the Puranas. All those references might not pertain to one and the same person or mythical figure. The term Buddha , in most cases , denotes a wise person , a sage-like person possessing Buddhi ( derived from the root budh -to know with the suffix kta the agent). The Buddha , here , is not the name of a person. It merely refers to an exalted one who has realized the Truth. 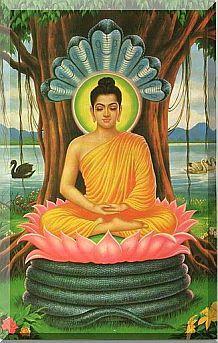 There had been many Buddhas prior to Siddhartha Gautama, the Sakya muni, who achieved the status of the Buddha. For instance; Sage Kashyapa , one among the famed seven Rishis, was revered as a Buddha. It is now a practice to mention Buddha prefixed by the definite article The . Some of the Hindu scriptures notably Srimad Bhagavata Purana accept the Buddha as one of the avatars of Vishnu There are of course numerous dissenting scriptures. Srimad Bhagavatha mentions that in the age (Yuga) of Kali, the Buddha is born as the son of Anjana of the Kikata tribe in the mid Gaya Region (Madhya Gaya pradeshe). There is no mention of the Buddha’s wife in the Puranas; and there is also no references to his son. The purpose his avatar is to vanquish enemies of the Devas and to establish the Dharma. 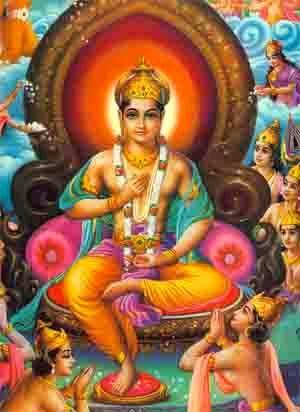 He is also praised as purassara or purogamin , the forerunner ; and as the destroyer of Madhu or Mara the distractor. Just as Sri Rama and Sri Krishna were the guarding divinities and representations of Vishnu in the Treta and Dwapara yugas, it is said, the Buddha is the Vishnu of the Kali Yuga. We all now live in the dispensation of the avatar of the Buddha (Bhauddavathare); and will do so till the advent of the next avatar, the Kalki. 1.2. 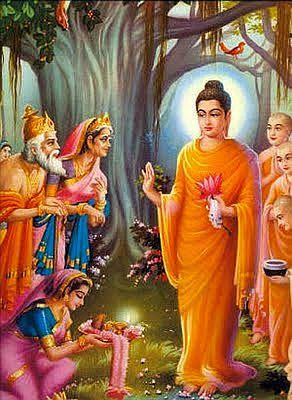 The Buddha is addressed in the scriptures with titles asserting his divinity: as Buddha-deva (Padma purana); Buddha-rupa (Brahma purana); and Siddhartha (Matsya purana) ; and , as Bhagavata (supreme person), Lokavid (knower of all worlds), Anuttara (the unsurpassable), Shasta Deva Manushyanam (Lord of men and demigods) and Buddhir Buddhimatam (the enlightenment of the enlightened ones), which are similar to the titles addressed to Vishnu. In a few passages (in Matsya, Skanda and Devi Puranas ) he is described as a yogin , yoga-charya as one whose ideas are pure, as one having a pacified mind free from attachments and hatred . The Vishnudharmottara pictures the Buddha as a sanyasin (monk) adorned in brown or ochre robes , full of compassion towards all beings. 1.3. Sri Jayadeva’s sublime poetry Gita-Govinda which articulates the Vaishnava philosophy of Love sings the glory of the Buddha as an incarnation of Vishnu and personification of compassion (karunya) towards all beings. 1.4. Srimad Bhagavatha explains the teaching of the Buddha as: ” The Buddha taught that material existence is dukha; and that there is samudaya, a cause of material existence; and because there is a cause, there is also nirodha, a way to remove material existence. That way is marga, the path of righteousness”. Matsya Purana mentions that the Buddha preached ahimsa, discouraged sacrifices, and supported nivrtti (non-attachment) and jnana-marga (the path of knowledge) of the Vedas. 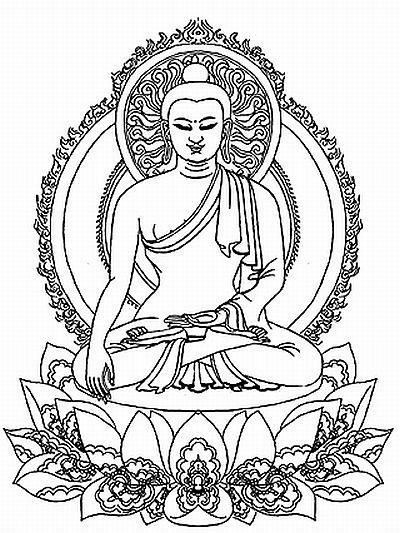 Naradiya Samhita (1, 60) describes the Buddha as a great sage with limitless compassion and self restraint (muni varo vasi); and as emanation of Pradyumna the Vrishni hero and son of Vasudeva-krishna. 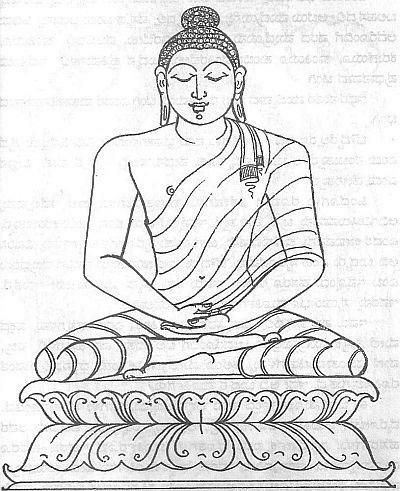 Some of the later texts depict the Buddha as the naked one (digambara). 2.1. The early representations of the Buddha were through symbols such as: the Bodhi-tree; the wheel of Dharma; the throne of exposition; sacred foot-prints; and so on. His representation as a perfect human being came about much later, perhaps through the influence of the Greek. His images were meant not merely to please the eyes but also spark pious and noble thoughts in the hearts of the onlookers. 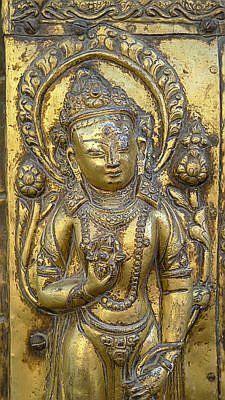 The Buddha image personified compassion, wisdom, enlightenment and tranquillity. The artists, generations after generation spread over the centuries and across the continents have strived to give expression the beauty and virtue of the Buddha and his message. 2.2. The raise and popularity of Mahayana Buddhism and the Bhakthi cult brought forth highly idealized Buddha icons meant for worship; and they virtually pushed the historical Buddha to background. The evolution of the Adi-Buddhas, the Dhyani-Buddhas (five types), the Bodhisattvas and other forms gave great impetus to Buddha iconography. 2.3. I need to mention here briefly about a few special features of the Indian figurative art and Iconography. It succeeded in making a coherent use of images to represent abstraction; and gracefully uniting forms and ideas in a loving marriage. An image (prathima) in the Indian traditions is , therefore, an all-inclusive representation of the aspects and attributes of a deity. It is more than a mere portraiture; it is an embodiment of the dominant abstracted impersonalized state of a deity in a given stance or posture, evoking stillness and dynamic movements together. The image of the Buddha is not merely a semblance of the historical prince Siddhartha Gautama and Sakyamuni; but is more than that. The Buddha is the comprehensive representation of intellect, wisdom and non-attachment; and above all of pathos, grace and boundless compassion, in absolute. His image is the universal principle of compassion (karuna) and wisdom solidified into a visible form. It is not the ‘historical figure’ , but is the idealized form encircled sometimes with many transient states, represented as vegetation , flora, fauna , yakshis , dryads, gandharvas, and apsaras each playing a specific role in building a totality of his eminence, an incarnation of the still centre of peace and enlightenment. 2.4. There are countless forms of the Buddha depictions in Buddhist lore. The purpose of this blog is merely to mention some depictions of the Buddha form in the Hindu tradition. The forms discussed under are those as described in Hindu and Shilpa texts, as also in the Dhyana-slokas. 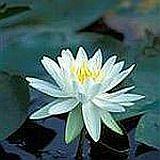 They are meant for worship with the prayer they lead to tranquillity and salvation. They are not decorative pieces of mere aesthetic appeal. 3.1. The icons of the Buddha are made either in sitting or standing (Sama bhanga) positions; but never in abhanga (bent) or dancing position. He is depicted lying-down position only to represent the posture he assumed while about to give up his mortal coils (pari nibbana). 3.2. The Buddha icons seated in lotus position (padma-asana) are depicted in three forms: as turning the wheel of dharma (chakra pravartana); or as in meditation (Dhyani Buddha) or as calling the earth as witness for his own integrity (bhoomi sparsha). The last is also called as pushparisa mudra. 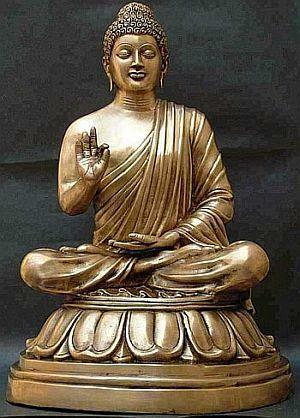 The positions of the hands and fingers (mudras), in each case, give expression to the posture. 3.3. The Buddha in the Dharma chakra parivarthana mudra is seated in lotus position on a thousand petaled- lotus under Bodhi tree. His eyes are half-closed in contemplation (dhyana). This represents the Buddha delivering his first discourse soon after attaining enlightenment. 3.4. 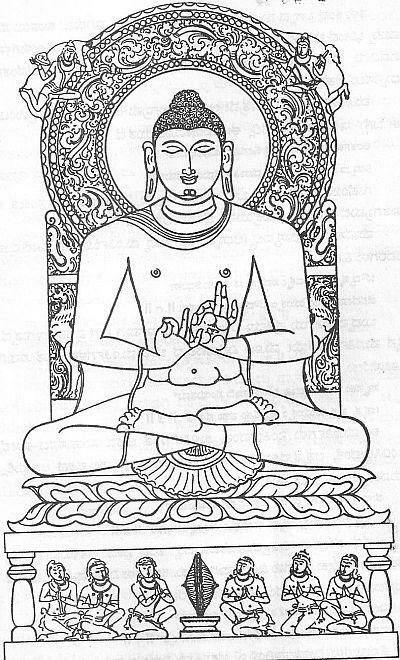 The Dhyani Buddha is depicted in a meditation posture with the upturned palms of both hands placed on his lap. He is seated under a decorated canopy (chattra) placed beneath the kalpa vrikshatree; and is flanked by two attendants who with great reverence wave the chamara flywhisks .A bright aura of wisdom and enlightenment adorn the head of the Buddha in meditation. 3.5. The Buddha seated in lotus position has his upturned- left palm placed on his lap while his right fore-arm is lightly placed on the right knee; and the long and delicate fingers of his right hand gently touching the ground on which he seated(bhoomi sparsha). This represents the Buddha soon after enlightenment calling the earth as witness for his own integrity. 3.6. There also depictions of the Buddha in vyakhyana posture, as if teaching and imparting a sermon. 3.7. 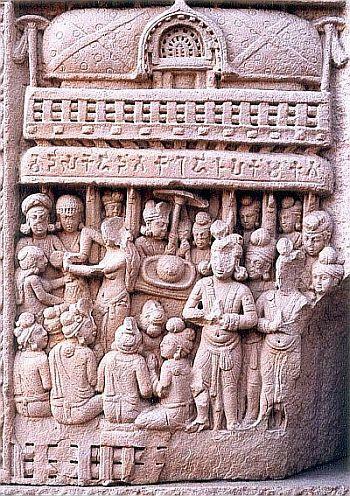 While standing the Buddha is represented either as preaching (vyakhyana) or going around begging. His right palm should bestow protection (abhaya) and his left clutching the side of his long garment should bestow assurance. His countenance should emanate peace, love and compassion. 3.8. The depictions of the Parinibbana scenes where the Buddha is shown giving up his mortal coils resemble Vishnu in Yoga shayana posture where he is surrounded by gods, goddesses, angles, sages, devotees and other beings, all worshipping with folded hands , devotion and reverence. 4.2. 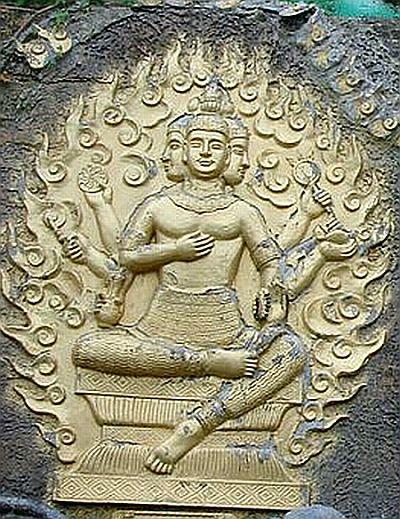 The other Hindu texts which accept the Buddha as an avatar, such as – Brihat Samhita, Agni purana, Vishnudharmaottara purana and Rupamandana- specify the features of the Buddha image in Dhyana mudra – in meditation posture. Matsya Purana describes the Buddha as Deva-sundara-rupa , handsome like a god, pale-red or fair in complexion. 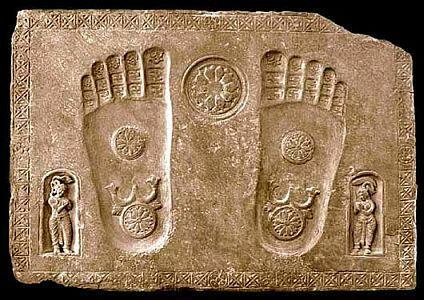 The foot soles and palms of the Buddha should be graced with auspicious signs of the lotus (padma). His body should be healthy and well developed; and glowing mellow and bright like moon light.He should have adorable thick curly hair (kundala kesha).The eyebrows should mold into a ring called urna, an insignia of the emperors. His long suspended earlobes should have holes. He should be adorned in kashaya (saffron) garments. He should wear across his right shoulder a piece of cloth (valmala) as upper garment. He should be sitting in lotus position (padma asana).His hands should gesture protection and assurance (varada abhaya mudra). The countenance on his broad, smiling face should radiate peace. The love and compassion emanating from his face should kindle a feeling in the viewers’ heart that they are looking at the father of all existence. 4.3. 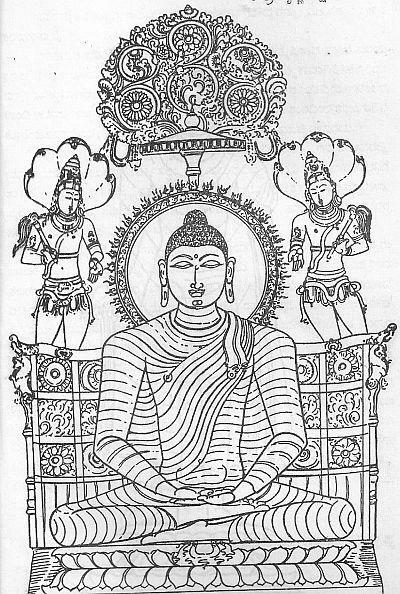 Another text Manasara (ch.56) offers a graphic description of the Buddha images which are depicted either as standing or seated. He should always be two armed and two-eyed, with long arms and wide chest; his body muscular (mamsala) and well developed. He must be shown wearing yellow garments (pitambara-dhara) and adorned with a brilliant head dress (ushnisha-ujwala-maulikam). His body must lustrous like moon and his face large (vishala anana).His ears should be long and hanging (lamba karna), his eyes long or elongated (ayataksha) and his nose aquiline (tunga ghona).The smile on his face should be like a lamp that has just been lit – bright and pure. He As regards the seated Buddha: The Buddha must be placed upon a throne or under the Ashwattha (peepal) tree or in the vicinity of the wish-fulfilling (kalpa vriksha). The Buddha image should be scaled in uttama dasha tala measure. 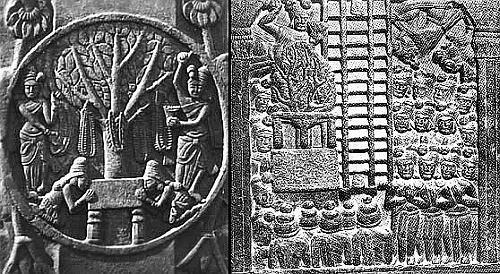 4.4The Buddha images are depicted in Hindu temples either in niches or on Vimanas (temple-towers ). And, in the Hoysala temples the Prabhavali, the intricately carved ornamental sculpture which serves as background to Vishnu’s head includes the Dhyani Buddha image. Further Chalukya and Hoysala temples (10-11thcenturies) in their depictions of Vishnu’s ten-avatars do include the Buddha. 5.1. The reference to the brilliant ushnisha of the Buddha icon is truly interesting. Ushnisha in its etymological sense means “protection from sun or a sun-shade”; but, it is generally taken to mean a turban, a royal turban –one of the royal insignia. 5.2. 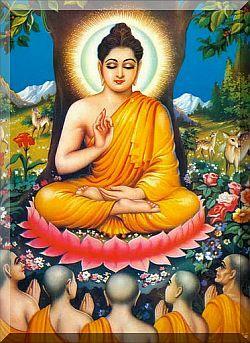 The Buddha is at times referred to in the Pali Nikayas as mundaka-samana, a shaven-headed monk (e.g. Subha-sutta – 99 – Majjhima Nikaya).In the older tradition, the Buddha is represented as amundaka, a shaven headed monk. The images of the Buddha found at Mathura, Mankur and Saranath represent this older tradition. 5.3. The later Pali Nikayas and Sanskrit texts like Lalitavistara preferred to treat the Buddha as a royal personage endowed with all the auspicious signs of a maha-purusha. Two of such signs were having a head like “royal-turban” (usnisa –sirasa) or having hair “arranged in ringlets turning to the right” (pradakshina-vrata-kesha).This tradition gained popularity in the later depictions of the Buddha images. 5.4. Though some scholars interpret usnisa as denoting fullness of the forehead or the head, it is quite likely the Buddha wore, at times; a brilliant colored turban (ushnisha-ujwala-maulikam). Perhaps, as a testimony to that, one of the panels in the Sanchi stupa depicts devotees paying respects to the Buddha’s turban. 5.6. The tradition of depicting the Buddha with a turban or a crown gained popularity in the Far East and South East Asia. a majority of the Buddha images of those regions have caps or crowns ending with a flame-like tip, flame niche or a lotus bud. 7. Generally, all Hindu iconographic representations of the Buddha are the worship-worthy idealized representation of a god incarnated as a Raja-rishi (king-seer).He is a Chakravarthin (Emperor ) endowed with thirty-two auspicious signs (lakshanas) of a maha-purusha, a noble and a gracious person . Accordingly the Buddha is depicted as a young , handsome, healthy, well formed god-like person (Deva – sundara – rupa ) with long arms reaching up to his knees; having lustrous body; thick glossy hair; long earlobes; happy , peaceful countenance with wide eyes full of love , compassion and wisdom; and seated or standing on a lotus pedestal. The devout have a faith the worship of such auspicious icon bestows peace and liberation. “Creatures without feet have my love. And like wise those who have two feet; and those, too, who have many feet. See nothing that will bode them ill.
Dear Russ , thanks for the visit and the appreciation. Please do also read the other articles in the web-post. sn’t the bhagavata itself of a very late date?? 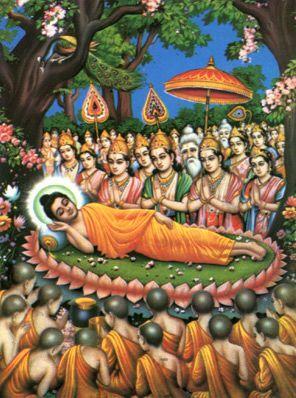 My memory says that Jayadeva was the first to make Buddha an avatar by making Krishna as Narayana Himself. Also the Bhagavata I think pulls together all the disparate stories of Krishna together – the infant, the cow-herd, the young prince who puts Kamsa in place and later the cousin of the Pandavas. The way they come together is an wonder in itself. As for Buddha his worship never took hold did it? I know you are discussing other things here but those question do spring up. Dear ShobanaSundar , It is rather difficult to fix a specific date or period for a purana because before it was rendered in to writing it usually existed in oral form ; and generations of storytellers were involved in its transmission and adaptation. In the case of the Bhagavata Purana too many believe though it could be dated to the Gupta period (say around fourth century) its stories might relate to a distant past or it could be an improvement of an earlier text. But then there is also the danger of later interpolations creeping in. Yes, Jayadeva belonged to Gaudiya tradition which has its own interpretation and scheme of things where in Sri Krishna is Swayam Bhagavan and not an avatar. 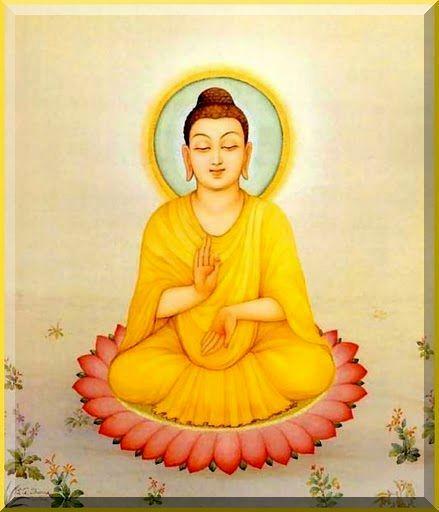 The Buddha was included as an avatar. Jayadeva lived in or after 12th century. The acceptance of the Buddha and his worship in the Hindu tradition had come about much earlier. Please also check my response to Shri sampath. was he ever worshipped in temple by hindus?? Dear Shri Sampath, Thank you. I am not sure if the Buddha image was worshipped along with that of Vishnu in the sanctum. 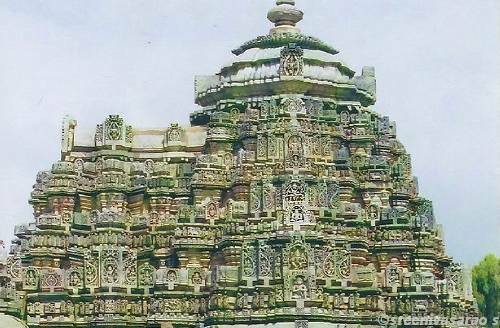 But in the Hoysala temples the Prabhavali, the intricately carved ornamental sculpture which serves as background to Vishnu’s head includes the Dhyani Buddha image. 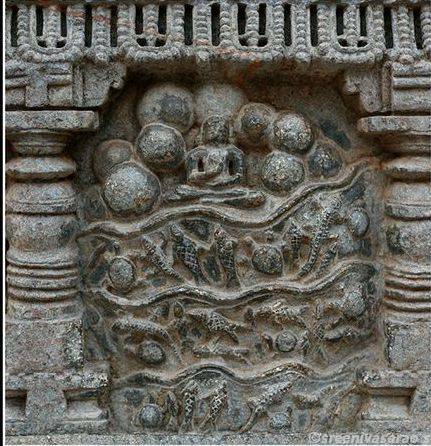 Further Chalukya and Hoysala temples (10-11th centuries) in their depictions of Vishnu’s ten-avatars do include the Buddha. As regards the Saligramas, they are worshipped mostly at home. hi sir, a scholarly post. i’ve read a hypothesis wehre buddha is considered a Greek god. Dear Bharatborn, Thank you. I am not sure if The Buddha was considered a Greek god. But there surely was Hellenic influence in depiction of the Buddha images. Till about first century the Buddha was represented by symbols such as foot-prints, umbrella, throne etc; and not by human form. The assimilation of classical Greek style of sculpting and Indian themes gave rise to a new style known as the Gandhara (Indo Bactrian ) art, during the Kushan period (around first century).It is said, the Greek god Apollo served as the model for Buddha images. The Buddha was depicted with a youthful Apollo-like face, seated in yoga pose wearing a toga resembling those seen on Roman imperial statues. Apart from this ,while interpreting the events in Buddha’s life or the Buddhist legends (Jathaka tales), the Gandhara School incorporated many motifs and techniques from classical Roman art, including vine scrolls, cherubs bearing garlands, tritons, and centaurs. The basic iconography, however, remained Indian. Thus, the Gandharan style represented a union of classical Indian and Hellenic elements. 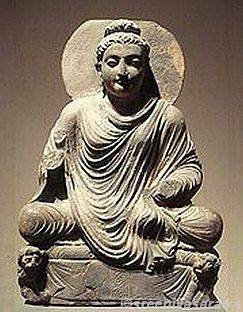 Most of the Buddha images that we see today are influenced by the Gandhara art. What a great mono graph..i will have to re read it many times to fully enjoy its import! Thanks.Digambara is a anacient status-deek ambar eshah digambar-whose clothes are only the sky…Lord Duttatreyas ideas from tripura rahasya is worth your study..much more ancient than Buddha They said it all earlier..as we still chant ”digambara..2…” in all our bhajans to HIM..HE guided Ram-guided by Vashishta defeated Parshurama–by his kind words to a past chiranjeevi Avatara ..more on my blogs..
Dear Shri santhemant ,Thank you for the comment. I am not familiar with ‘Tripura Rahasya’ of Sri Dattatreya, you mentioned. I shall surely try to learn about it. I am grateful. In an all embracing article you have scholarly depicted the different forms that come to represent the image of the Buddha based on his philosophical core. I think this marks a different line from the Hindu way of thought though in Hinduism also we tend to imbibe the idol with the manifestation of certain desired characteristics that is purely representative of mundane aspirations like that of Sraswathi,Lakshmi,Durga, Hanuman and so on. Besides the more striking departure he made was when he pronounced on his death-bed that nothing needs to be further said and that every one needs to struggle and find out the real truth for himself ! I think the philosophy of a person gets great elevation in those words ! Dear Shri Bala, Thank you for the comment. The article was mainly about Iconography of the worship-worthy images of the Buddha, in the Indian traditions, as described in various Shilpa –texts and in the scriptures. As I mentioned, these are idealized comprehensive representations of the attributes and the aspects that the notion of ”Buddha” evokes in the hearts and minds of the viewers. These need not necessarily be taken as resemblances of the historical Sakyamuni. The teachings of the Buddha and his parting message are, no doubt, elevating, as you mentioned. But, the later Buddhism and its reflections in the Hindu traditions tended to take a religious- worshipful approach to the person of the Buddha. This is just as the Jesus of Nazareth who died on the cross has little to do with the liturgy of the Church.